By and large it has been a successful year for most of our sportsmen and women and with some notable achievements. Currently we are halfway through the football season, and while fortunes have been mixed so far for the home team of Rye Town, there is plenty of time yet to build on their success of last year when they finished fourth in their league and also won the Premier Travel Challenge Cup. Notable achievements for such a new club and we wish them even greater success this season. Our other local team, Icklesham Casuals also had a good 2017/18 season, finishing runner up in Division 2 of the East Sussex League and thereby earning promotion to Division 1, where the opposition has been tougher. Even so, they have risen to the challenge of some hard-fought games. 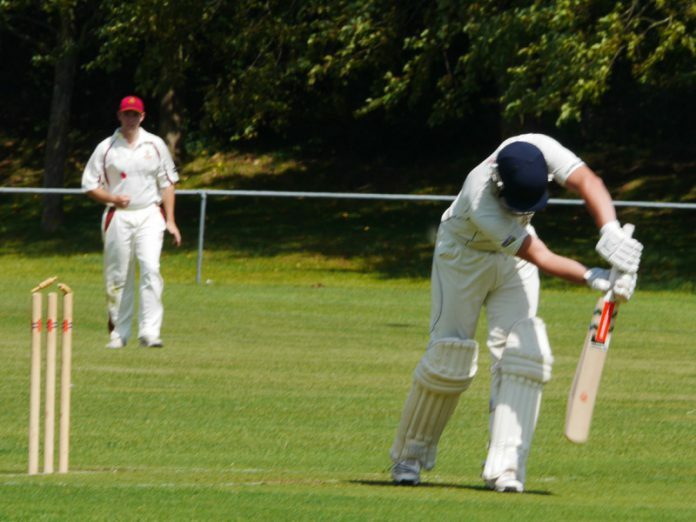 The cricketers, too, had a good season this summer. Hard on the heels of their championship win in the winter indoor league, the 1st XI swept opposition aside in the summer to win the League Division 4, East, championship. A testament to the club’s off season coaching programme, particularly when it came to bringing on young players. But it isn’t just about the teams. There were some notable individual feats as well: in March, young sailor Scott Wilkinson from Rye Harbour Sailing Club won the Topper class World Championships and in recognition of this was presented with the RYA London and S.E. Youth Championship Award. 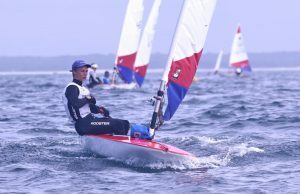 Now moving on to the Laser class of dinghy racing, he is surely one to watch for the future. In July, six cyclists from Rye Wheelers went abroad to take part in an annual sportive in the Dolomites and while there, completed six routes round the Sellaronda group of mountains completing a total of 300 miles and 40,000 feet of climbing. And if that doesn’t make you exhausted just thinking about it, consider Amelia Voice from Pett. An ultra runner (i.e. an athlete to whom a marathon is just a training run! ), Amelia went off to the Alps to compete in the Trail du tour des Fiz. 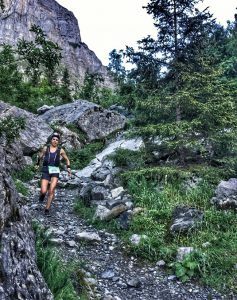 Starting at an altitude of 4,500 feet, covering 65 kilometres incorporating a further 5,000 feet of climbs, she finished in a little over 10 hours, coming 4th in a field of international athletes. 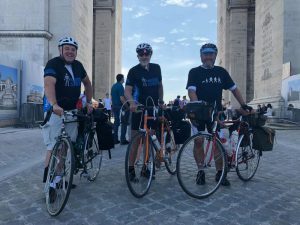 Even some of the more senior sportsmen have been inspired this year and in August, three of the older members of Rye Wheelers cycled from Rye to Paris. It took them five days and they admit to struggling with hilly terrain and strong headwinds while crossing France. However they achieved their goal and in the process raised over £1,400 for Prostate Cancer UK. Also in August the Tennis Club had its open tournament and closed club tournament – 10 days of quality tennis on the immaculate grass courts and with players not just from clubs around the UK, but plenty of entries from abroad, including the US, as well. It may be the top athletes and players who get the limelight, but we should never forget all those who may not reach championship levels or make it into the top teams. They are the backbone of all our clubs. They turn up each weekend to cycle with the club peloton, kick a ball round a muddy pitch, play perhaps-mediocre tennis or get wet and cold sailing their dinghies or cruisers. And there are the other sports, bowls, with their very active club on the Salts, the petanque players who play in their pub teams every week, the runners, the swimmers, all of whom do it for the love of their sport and for the satisfaction of testing themselves physically or mentally and often overcoming the odds. 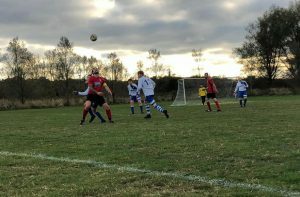 Here at Rye News we have limited sports coverage and we want to have more, so whether you are associated with a club or not, tell us what you are doing and we will write about it. We don’t have the manpower to attend every event and watch every individual, so it is up to you. We really do want to hear from you. Image Credits: Rye Cricket Club, Rye Town FC, RHSC, Amelia Voice, Rye Wheelers.